* Mladenovac is a town and municipality located in Serbia at 44.43° North, 20.70° East. Mladenovac is one of Belgrade's 17 municipalities. In 2003 the town had total population of 22,200. 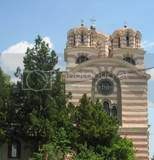 This town, situated about 47 km in the south of Belgrade, is a part of the district of the capital city of Serbia. Main roads lead from Mladenovac to popular excursion spots – mounts of Avala, Bukulja and Kosmaj, the mountain fold of Guberevacka šuma and Trešnja, and spas that are very close by, Selters spa, Koraćička spa and Bukovicka spa, Markovačko lake, Rabrovačko lake . One-day excursions are organized for the guests to enjoy the mildly sedating climate, authochtonous and antropogenic vegetation, forest springs, rustic scenery, rural events, fairs, and hunting of the small (ground) game for hunting fans. 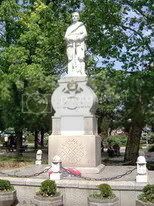 Mladenovac - History of the locality, its culture and art, tourist attractions. 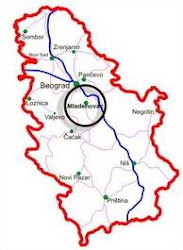 - We can get from Belgrade to Mladenovac (55 km) by highway Belgrade-Niš and leave it at Mali Požarevac which is 13 km far from Mladenovac as well as by old road via Avala, Ralja and Sopot. - We can get to Mladenovac from Kragujevac (64 km) and Topola (25 km) side by the road Kragujevac-Belgrade. - We can get to Mladenovac from Aranđelovac (24), Smederevska Palanka (25) and Smederevo (38) by main roads. - By the main railroad from Belgrade to Sofia via Niš or to Athens via Niš (the corridor 10) which goes through Mladenovac. - We can get from Kragujevac to Mladenovac by the old railway, too. The railway turns at Lapovo intersection onto the railway Belgrade-Nis. The international airport Nikola Tesla in Belgrade is 65 km far from Mladenovac.